There are some models that transcend the catwalks-through stop-you-in-your-tracks stunning magazine covers, to so-charming-you'll-buy-whatever-they're-selling commercials, to history-smashing ad campaigns-and achieve superstardom. These are the most iconic supermodels of the last 31 years. In 1980, Shields became the youngest model to appear on the cover of Vogue-she was 14! That same year, she also became the face Calvin Klein’s print and TV ads. You know the ones. Believe it or not Brinkley almost didn’t become a model. She was afraid that it would interfere with her career as an illustrator. But after she caught the eyes of scouts from Elite Model Management, she decided to give it a go. By 1981 she became the first model to make three consecutive covers of Sports’ Illustrated Swimsuit Edition. Not bad. Not bad at all. Simonsen has a bit of a Cinderella story: the Danish supermodel worked as a supermarket cashier before she was discovered by fashion publisher Birte Strandgaard. In 1982, she was chosen to represent Denmark in the Ford Supermodel contest (which she won). The victory catapulted her career as she signed major deals with Clarins, Maybelline, and Covergirl. Zara Mohamed Abdulmajid-you know her as Iman-scored her first-ever modeling gig in 1976…in Vogue(!). Fitting for a model whose name means “faith,” no? In the early ’80s, Iman starred in a campaign for Kenzo Takada, photographed by Hans Feurer. In 1983, at the then-peak of her career, Iman survived a car accident that changed her life forever. According to Elite Model Agency founder John Casablancas, Alt started the supermodel trend in the early eighties. And everyone knew her face-because it was probably up on a nearby wall. In 1983, Alt self-produced a series of bestselling posters. By the late ‘80s, Dickinson had appeared on the cover of Vogue 37 times. Dickinson also worked with the likes of Bill Blass, Gianni Versace, Oscar de la Renta and Calvin Klein. What were you doing? Back in the 80s, everybody knew MacPherson “The Body”-because, well, duh. She sprung into fame with her 1986 cover of Sports Illustrated’s Swimsuit Edition-that was the Aussie’s first out of four SI features. At the start of her career, Alexander was rejected by many of the major fashion agencies until she was signed by Legends Agency. She reached peak fame at towards the end of the '80s after having worked on campaigns for brands like Cover Girl, Tiffany & Co, and Chanel. Czechoslovakia-born Porizkova was a Cold War refugee living in Sweden when she met an Elite model scout who changed her life. At 15, she packed her bags and moved to Paris. She soon booked major covers in Sports Illustrated, Glamour, Cosmopolitan, Harper's Bazaar, and more. In 1988, Porizkova signeda $6-million deal with Estee Lauder in 1988, the most lucrative modeling contract at the time. ICYMI: Ireland’s 1989 Sports Illustrated swimsuit issue cover was one of the most-sold editions to date. Alongside Naomi Campbell and Linda Evangelista, Turlington was part of the supermodel “Trinity” of the 90s, working with big-deal fashion houses like Calvin Klein, Chanel, Louis Vuitton, and Prada. Just as legendary: that huge deal with Maybelline that earned Turlington an $800,000 paycheck for 12 days’ worth of work. Crawford made jaws D-R-O-P when she arrived at the 1991 Oscars wearing a plunging red Versace gown-and her then-boyfriend Richard Gere like an accessory. The following year, she starred in one of Pepsi’s most memorable Super Bowl commercials. Back in the day, many model scouts thought there was no way that 5-ft.-7-in. Moss could ever be a supermodel. Uh, they were wrong. In 1992, a young Moss appeared in a Calvin Klein ad with Marky Mark that captured the eyes of British editors-she went on to become one of Vogue’s it-girls, gracing over 60 covers for the magazine. 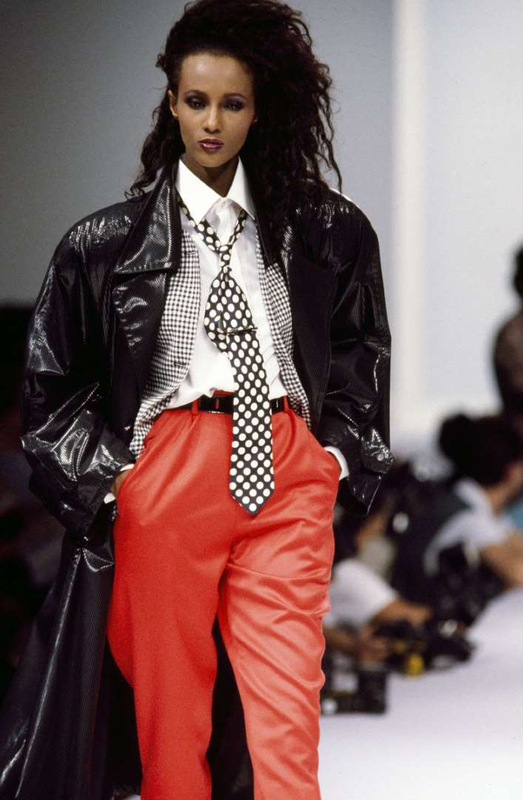 Campbell basically owned the catwalk in the ‘90s. She was frequent face at all the major fashion shows between Milan, New York, and Paris. That time she took a tumble on the runway in Vivienne Westwood's sky-high platforms, picked herself up and laughed it off? Iconic. Herzigová turned heads when she starred in a Wonderbra campaign, wearing a black bra with the words “Hello boys” next to her. A debate ensued: some thought the ad was demeaning towards women. Some argued it was showing that the bra could be a beauty-enhancer not just a functional garment. Valletta, who started modeling at 15, became one of the co-hosts of MTV’s House of Style, which MTV should totally bring back. Evangelista once said that she doesn’t “wake up for less than $10,000 a day” and TBH, same. In 1996, she signed a multimillion dollar contract with Yardley of London. She probably woke up happy that day. Guess? co-founder Paul Marciano has said "the GUESS name became really, much more known around the world” thanks to Schiffer and their crazy-successful, S T U N N I N G campaign ad. So, you’re welcome. This catwalk queen walked for Chanel, Marc Jacobs, Salvatore Ferragamo, and Versace. Oh, and let’s not forget the time she walked for Alexander McQueen, posed on a rotating platform, while robots sprayed her dress. The Brazilian bombshell walked into 2000 after landing Vogue’s November 1999, December 1999, and January 2000 issues. Whew! As a child, Vodianova sold fruit from a cart to help her family. 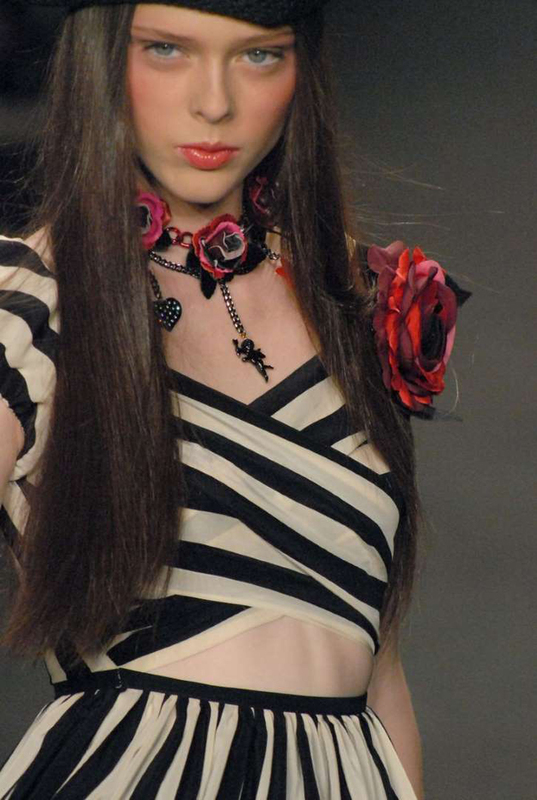 By the time she was 17, she was walking the runway and became a quick favorite of Calvin Klein. In just a few more years, she’d have multimillion-dollar contracts with Calvin Klein and L’Oréal in the bank. In 2002, Vogue Paris dedicated an entire issue to the Ethiopian supermodel’s beauty. A year later, she became the new face of Estée Lauder cosmetics-the first black woman in the company’s long history to do so. Werbowy landed some of the most coveted jobs in the country: three covers of Vogue Italia and became the face of Prada in 2003. Werbowy later went on to sign a multi-year contract with Lancôme. Klum was already a major deal when she reached peak fame: Project Runway debuted in 2004. Vogue’s 2005 Model of the Year has become one of the top-earning supermodels in the world, according to Forbes. You’ll recognize this face from a gazillion catwalks, commercials, and campaigns for brands like Dior and Yves Saint Laurent. She’s most famous for doing an Irish dance-she’s been Irish dancing ever since she was eight years old-on Jean-Paul Gaultier's runway. Has there ever been a time that Kloss wasn’t killing it? The answer: No, obvs. But 2008 was an especially baller year for T-Swift’s BFF. She booked a whopping total of 64 shows that year. In 2009, everyone was obsessed with Refaeli: Maxim named her the Hottest Girl in the World. She received the World Style Award from the Women's World Awards. And she appeared in all sorts of ad campaigns for Chanel, Escada, Ralph Lauren, Desigual, Andrew Marc, Victoria's Secret, and the Gap. Even though Stone walked a gazillion runways before 2010-not to mention, landed a contract with Calvin Klein-the Dutch model really reached prominence when she replaced Sasha Pivovarova as the face of Prada’s fragrance. Some people call her the “anti-model” since she doesn’t have “perfect” features. Looks perfect to me, k?